It's been quite the journey. Two years of fumbling around in the dark, not knowing what the hell I was doing when it comes to releasing an album, and finally, though rather glacially, figuring it out. 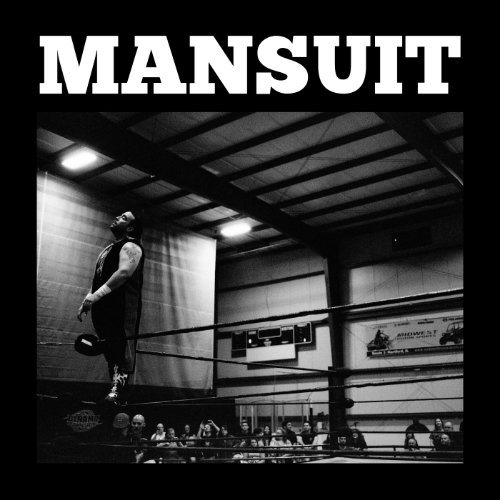 I'm proud to announce an official release date for the debut self-titled Mansuit album– FRIDAY, February, 12th. This LP contains 11 songs, well above the legal limit of emotions, and traces of several failed relationships. In some ways it's a coming of age story, starting with a very idealistic, dream-like move to Los Angeles and ending with the realization that dreams, though vital, are not alone enough to sustain a life. By the 48th minute, I hope to communicate a certain acknowledgement that we all too often become entrapped by our own visions of what our lives could be, that holding on to what isn't there can be horribly toxic to a person's soul, and that letting go—being strong enough to know when it's time to move on— is no easy feat for a stubborn, and nostalgic person like me, but something that must be done. I'm so damn excited to share where I've been, and to keep moving forward into the unknown. Incredibly thankful for those that choose to join me. Check out the album artwork & first single 'Let My Eyes Adjust' Now.